UK Construction PMI figures fell to 46.0 in June, down from 51.2 in May, the seasonally adjusted figure dropped below the neutral 50.0 threshold for the first time since April 2013. The latest reading pointed to the weakest overall performance for exactly seven years, the rate of contraction was much slower than seen during the 2008/9 downturn. Britain’s central bank announced plans to boost credit by up to £150 billion in a bid to control risks to the economy following the Brexit vote. Bank of England Governor Mark Carney said there was the “prospect of a material slowing of the economy” and that the measures would help major U.K banks relax lending rules. His remarks came after the release of the Bank of England’s twice-yearly financial stability report, which said there was evidence that some post-Brexit risks had begun to “crystallize”. The announcement means U.K. banks must now stop building up a “rainy-day buffer” and instead release £5.7 billion in funds until June 2017. The bank said this translated into £150 billion for lending to British households and businesses in the wider economy. In addition to this it is widely expected that the BoE could slash interest rates to zero percent as early as next week in another post-Brexit measure. Sterling hit a fresh 31-year low against the dollar on Tuesday, as investors worried about the economic and financial fallout of Britain's vote to leave the European Union. Sterling did briefly inch higher after Bank of England Governor Mark Carney’s speech, but it then gave up those gains to trade down 1.1 percent. A survey of Britain's services sector showed that uncertainty in the run-up to the referendum had slowed growth last month to a three-year low, and sent business expectations to their weakest since 2012. Britain's finance ministry said on Tuesday that it made no interventions in the foreign exchange market in June, the month when the country voted to the leave the European Union, triggering a slide in the value of the pound. In a monthly statement, the finance ministry said the government's net foreign currency reserves rose by $1.6 billion in June to $39.6 billion. Valuation effects accounted for all of the increase. 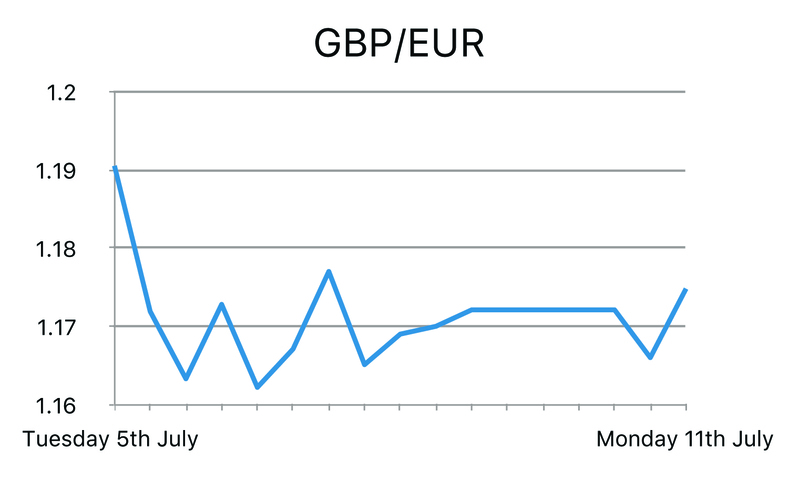 The fallout from Brexit continues to have a detrimental effect on demand for the single currency, with nearly all EUR exchange rates registering losses on Monday. One of the major concerns being that the UK’s decision to exit the EU has provided many European populist parties with a louder voice than before. Should several other EU members hold referendums of their own, the uncertainty alone could lead to the demise of the EU and of the single currency. Italy is in talks with the European Commission to receive a bailout to prevent a financial crisis, but there are growing concerns that the process may take too long and that Prime Minister Renzi may have to use public funds to bail out the country rather than funds from creditors. The recent Brexit vote immediately sparked speculation about which country may be the next weak spot in Europe following on from the recent situation in Greece. And increasingly, it's clear the answer may be Italy. Seventeen percent of bank loans in Italy are bad, which comes out to a combined 360 billion euros in bad debt, is more than three times the bank loans that were bad in the U.S. on a percentage basis during the height of the financial crisis. Wall Street opened lower as investors sought shelter in safe-haven assets amid a drop in oil prices and global growth worries. U.S. government bond yields were at an all-time low as weak data from China added fuel to the uncertainty stemming from Britain's vote to leave the European Union. Oil prices fell nearly 3 percent as a potential economic slowdown weighed on prospects of demand. Data from China showed that the country's services sector activity rose to an 11-month high in June, but a composite measure of activity including manufacturing fell to its lowest in four months. 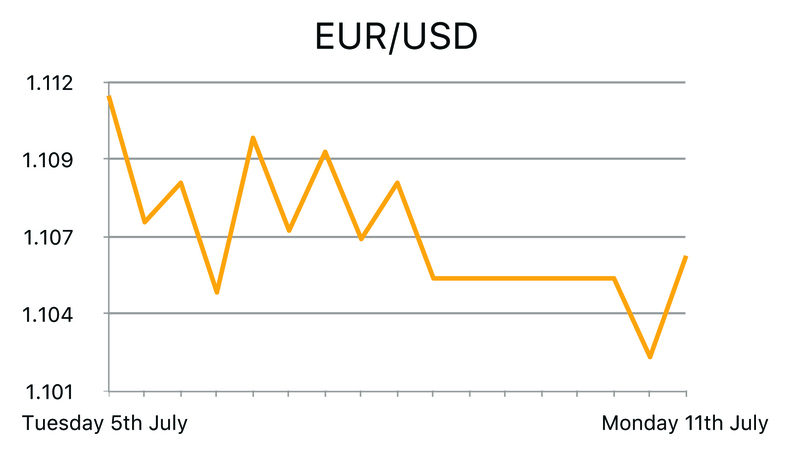 The US consistently runs a trade imbalance, importing more goods than it sells overseas, but as the dollar has continued to strengthen this has become more pronounced as imports are cheaper and exports less competitive. Overall, doubts surrounding the economic performance will continue, especially with weak business confidence, although the ISM data was notably more encouraging with a significant monthly improvement for June. The ADP National Employment Report showed private employers hired 172,000 workers in June, beating market expectations for a 159,000 gain. Private payrolls rose 168,000 in May. Last month, small businesses hired 95,000 workers, up from 84,000 in May. The services sector added 208,000 jobs last month, however manufacturing and construction lost a combined 26,000 positions. The Labour Department also stated that initial claims for state unemployment benefits declined 16,000 to 254,000 for the week ended July 2 - the drop left claims close to a 43-year low of 248,000 touched in mid-April. May's weak job gains and the pending Brexit referendum prompted the Federal Reserve to keep interest rates unchanged last month. 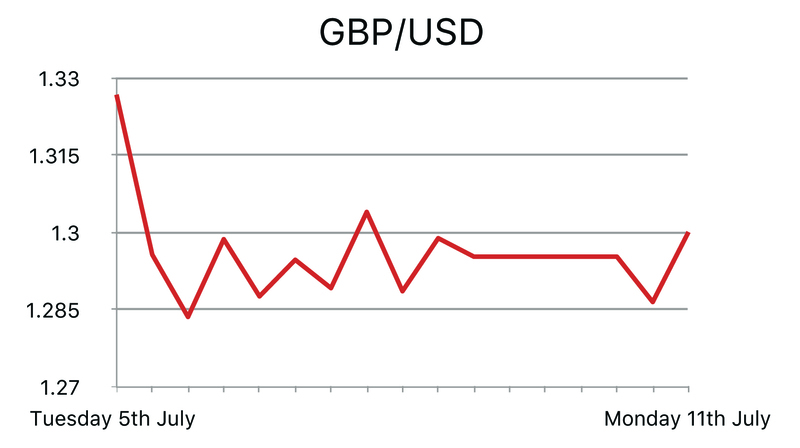 Signs of strength in the US economy so far precede Britain’s vote to leave the EU.